It is not hard to argue that every black performer in show business owes something to Bert Williams. Discovered in California in 1890 by a minstrel troupe manager, Williams swiftly became a regular player in the troupe. Traveling on from the rough-and-ready medicine shows" that then dotted the West, he rose through the ranks of big-time vaudeville in New York City, and finally ascended to the previously all-white pinnacle of live-stage success: the fabled Ziegfeld Follies on Broadway. Inspite of his triumphs-he brought the first musical with an all-black cast to Broadway in 1903-he was often viewed by the black community with more critical suspicion than admiration because of his controversial decision to perform in blackface. Modest, private, and conservative in his personal life, Williams left political activism and soapbox thumping to others. 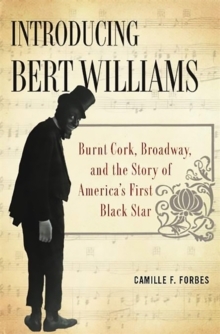 More than the simple narration of a remarkable life, Introducing Bert Williams offers a fascinating window into the fraught issues surrounding race and artistic expression in American culture. 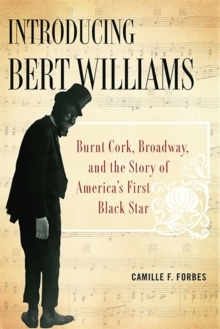 The story of Williams's long and varied career is a whirlwind of inner turmoil, racial tension, glamour, and striving-nothing less than the birth of American show business.